As a free open-source multiplatform and multithreaded video transcoder, Handbrake boasts a wide range of features designed to help you get the most out of your digital media. The following article show you the detailed steps on how to use Handbrake. Just read on. Firstly, download and install HandBrake from here. Handbrake is without a doubt, one of the easiest video converter programs around. Along the top row are six buttons where you can manipulate essential functions, such as opening your source file, adding a job to the queue, and a simple "Start" button, which says it all. Below these buttons are your Source and Destination features. Destination, of course, allows you to choose where your converted file is saved and what it is called. Source displays basic information about your source file: titles in the file, angles, and dropdown buttons that will allow you to convert your file by chapter, time (seconds), or frames. Finally, there are your Output settings. There's a ton of stuff here. You can adjust your video and audio quality, add subtitles, and much more. We're not going to even bother with any of these though. Today, we're just going to show you the simplest way to convert one video file format to another. The first thing we do then is select our source. Click the "Source" button and choose "Open File" from the dropdown choices. Browse your file system to where the troublesome file is located, select it, and click "Open." Now you see the file we're converting listed under the Source heading. For this operation, we're making no adjustments to anything in the Output Settings. This is a straight conversion from .MKV to .MP4, so we'll leave the container setting as is. The only other thing to do is tell Handbrake where to put our new file, and what to call it. We click "Browse" for our file Destination, choose a location for our new file, as well as give it a fitting name. We'll go ahead and save the file in the same location as our source and click "Save." Back on Handbrake's main window, we give our transcoding job one more look and click "Start." Depending now upon your computer's speed and the size of the file, this operation could take a few minutes or a few hours. You can note Handbrake's progress at the bottom of the application window. Here you see our file is almost six-percent complete, and has almost nineteen minutes remaining (estimated). When our file is done, we should be able to play it in Chrome. And, success, we can now easily play this file on virtually any video player, phone, tablet, and, of course, cast it to our big screen TV in the living room! Handbrake is easy to use, risk free, and we are able to achieve very desirable results, simply using the default settings. 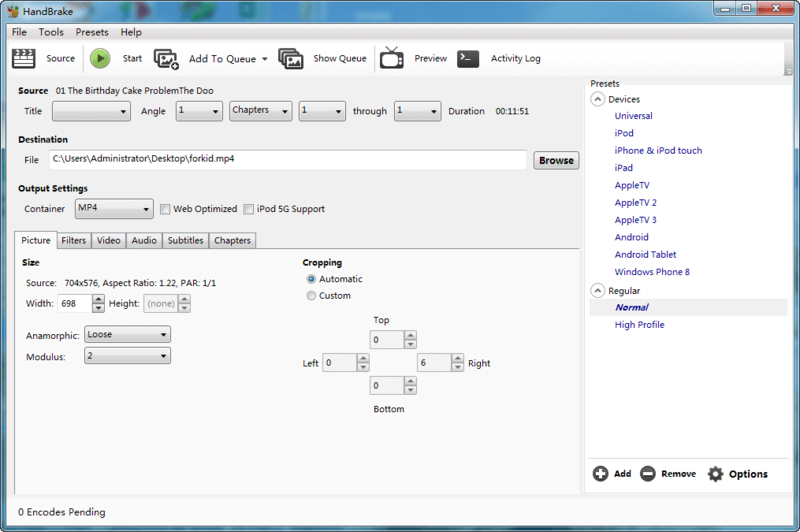 However, many users feedback that what the Handbrake can offers them is not enough. For example, Handbrake isn't designed with NVIDIA CUDA technology and AMD® Accelerated Parallel Processing (APP), so some users seeks video encoding speed, Handbrake this software will not satisfy you. If you need to get the best Handbrake alternatives, keep reading to get the best alternative to Hnadbrake. Pavtube Video Converter Ultimate | for Mac will be your best choice, if you haven't tried this, go to download this software. Pavtube Video Converter Ultimate now upgrades all its Windows software applications to take full advantage of the NVIDIA CUDA technology and AMD® Accelerated Parallel Processing (APP) to largely accelerate video encoding speed. The program can comprehensively convert commercial Blu-ray/DVD and also various digital file formats to any of your desired file formats or multiple device preset profile formats. The simple to use profile settings can assist you to get the best quality video and audio by flexibly adjusting those settings. The beneficial video editing function also enables you to get your desired output video by trimming video length, cropping video file size, splitting video file size, merging separate video into one, adding watermark, applying special rendering effect, etc. How to Use Handbrake on Mac? A VOB file is a movie data file from a DVD disc, typically stored in the VIDEO_TS folder at the root of the DVD. It contains a majority of the data stored on the disc which includes video, audio, subtitles, DVD menus and other navigation contents. VOB files are usually formatted as MPEG-2 system streams and can be opened by various video playback programs. Since most commercial DVDs use some type of copyright protection, the VOB file extracted from the DVD may be encrypted, which may result in an error when trying to copy the file to another location. Well, do you want to get the most out of your huge DVD collections (both VOB file forms and DVD disc forms)? Yeah, it's no doubt a great idea to convert VOB to MP3 or convert DVD to MP3 to put them on your portable MP3 players to enjoyment yourself anytime and anywhere. 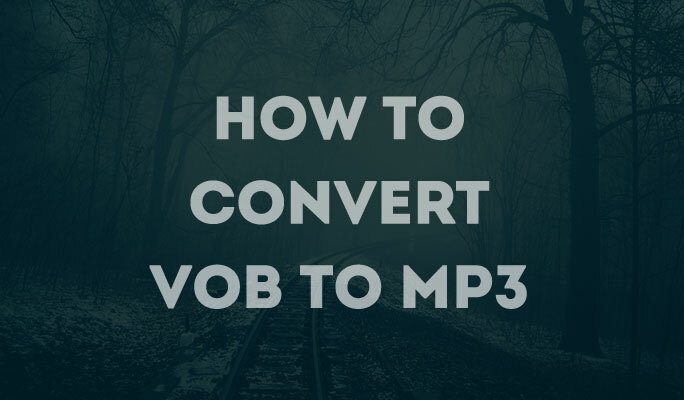 Now, let me show you how to convert VOB to MP3 and convert DVD to MP3. Input the video file formats: MP4, AVI, WMV, MOV, MKV, FLV, VOB, H.264, H.265, etc. 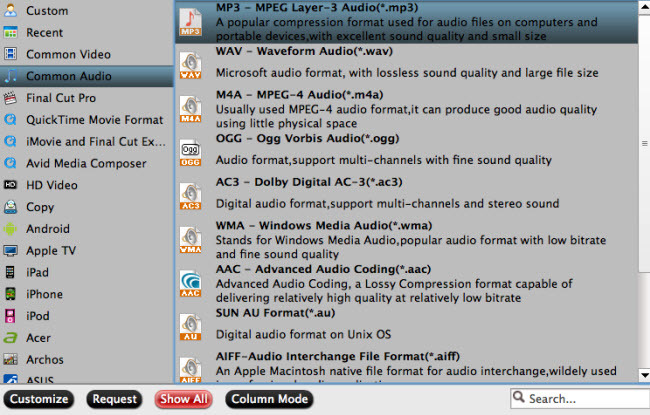 Convert the audio to audio,like the VOB to MP3, APE, OGG, 8SVX, AIFF, AIF, AMR, SUN AU, etc. Convert the video to video, total 300+ video formats are ready for you. Extract Audio from video, for example: Extract MP3 from the 4K Ultra HD Video, HD videos, MP3 from the DVDs, etc. 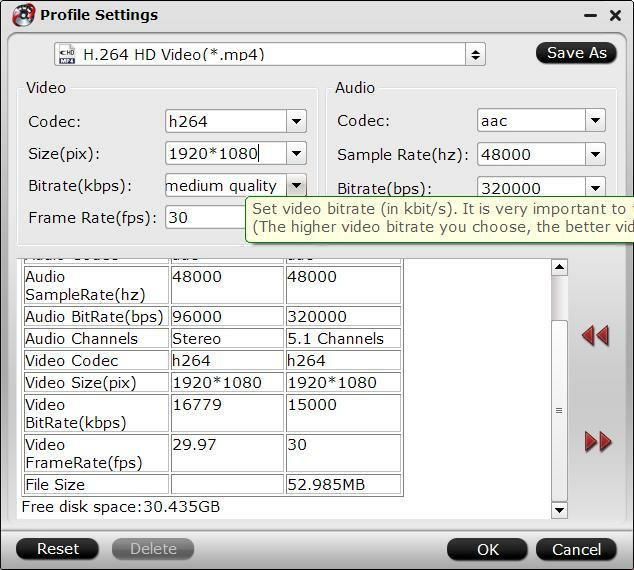 Adjust the video and audio paramaters, like the video codec, video frame, video bitrate, audio channels, audio codec, etc. Choose the devices you want to play VOB on by the professional device preset, such as: Media player, NLE software, TVs, Apple devices, Android devices, etc. You also can load the DVD and Bluray disc, as the best DVD ripper, you are worthy having one. Open this software, you can drag the audio into the program or click "File" > "Add Video/Audio", you also can add the folder by selecting the "Add from Folder", then you can do the batch VOB conversion. Step 2. Choose MP3 audio format. Click "Format" bar, from its drop-down options, select your desired output audio file format to save on your computer. 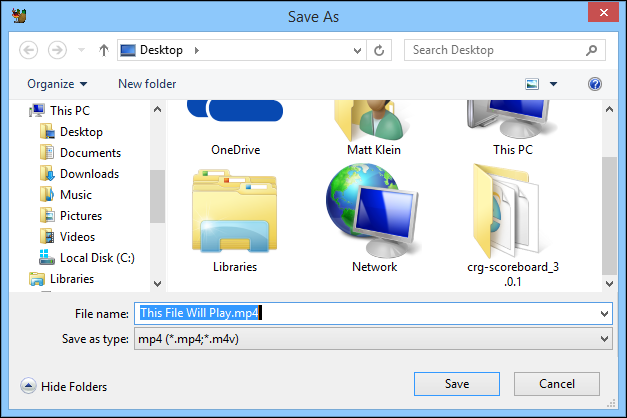 You can choose MP3 audio formats from the Common Audio. Step 3. Begin VOB to MP3 audio conversion. Go back to the main interface to begin the VOB to MP3 audio conversion. If you just need to convert one VOB files, you can choose the online audio converter which is free, no installation. 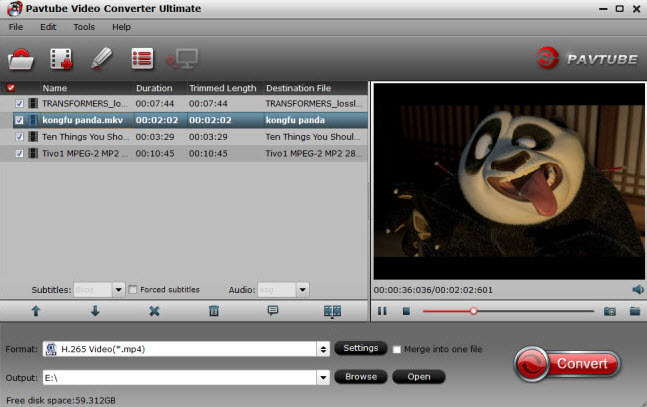 If you have many VOB video files and other videos, the professional audio converter is the best option. Sometimes you may record TS videos with your JVC camcoders or download some wholesome TS videos form the Internet. However all these videos in the TS format have little utility in the practical processing. For example, they can not be shared on Facebook, Youtube, and can not be played on your iPhone, iPad, Galaxy Note 8, Xbox One X, and other deivces. In this case, you can try a HD Video Converter to convert TS to MP4, most widely used video formats in the world. This article will give you 3 different ways to avhieve this goal, go check. Convert TS to iPhone X, iPad, Samsung, YouTube, HTC, Xbox One X, Adobe Premiere, Final Cut Pro with presets. Rich video editing features enables you to enhance, personalize, your TS videos. Step 1: Load protected TS files into the program. Install and launch the best TS video converter program on your computer, click "File" > "Add Video/Audio" or "Add from Folder" to load either unencrypted or encrypted TS files into the program. Batch conversion allows you to load multiple TS files to process at a time. In addition, if you are use a Mac, you should use the Mac version software: Pavtube iMedia Converter for Mac. Click "Format", from its drop-down option, choose one of the device compatible file formats to output such as "H.264 HD Video(*.mp4)" under "HD Video" main category. You also can choose H.265 MP4 or 3D MP4 in the right categories. If you want to change TS to MP4 without re-encoding, you also can choose remux TS to MP4 to change the container but keep all the codecs and parameters in the video. 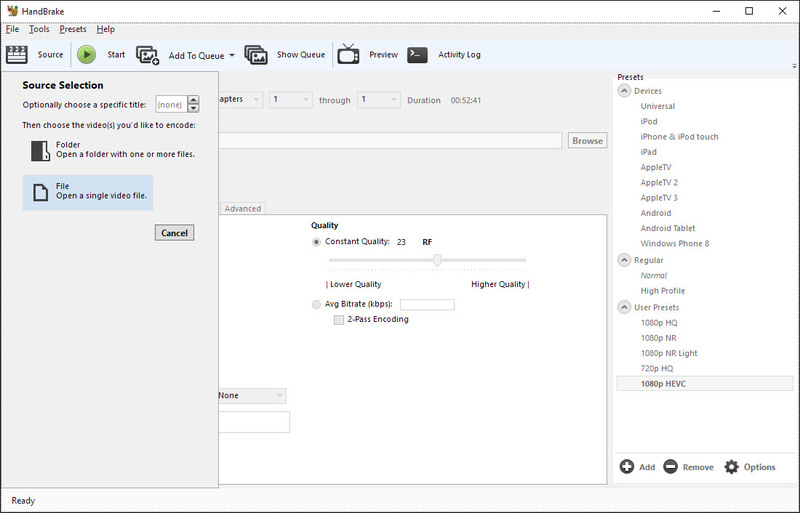 Click "Settings" on the main interface to open "Profile Settings" window to tweak the output video codec, bit rate, sample rate, resolution, audio codec, bit rate, sample rate and channels to make them fit with your devices or programs. Step 4: DIY TS videos. Click pen-like icon to enter the video editor window. You can merge separate the TS video clips into one, insert external subtitles to TS video, add transparent text watermark/image watermark to video, crop black bars around the video frame, split large TS video files into small parts, adjust video color brightness, contrast, saturation, remove audio from a video or replace audio in video, trim video footage, crop unwanted area from video, etc. After all setting is compelted, press the "Convert" button in the right-bottom and the TS video to MP4 video conversion process will start automatically. When the conversion is over, click "Open output folder" to pop out the converted TS files, you will then have no problem to play, edit or share TS files on any devices or programs as you like. For those people, a free video converter will be great. When speaking to free video converter, Handbrake will come into our mind. HandBrake is a program that lets you convert multiple types of video files including into MP4 or MKV format, while specifying other output characteristics. It supports Windows, Mac and Linux. 1. Click HandBrake and download, install Handbrake. 2. Click the Source button in the top left, to choose the TS files that you want to convert. 3. Once you have made your selection you will be presented with the following screen. Click Browse next to the destination box to choose where you want to save the file. 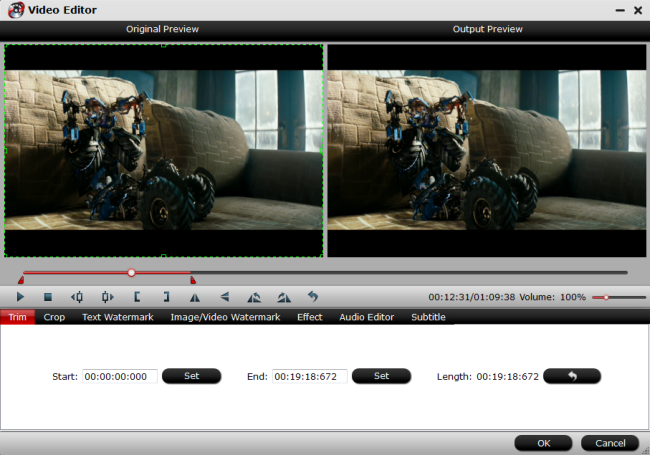 Then you can choose MP4 video to output in "Output Settings". 4. Click Start to begin TS to MP4 conversion. This can take quite a long time depending on the length of the source video. In another hand, there are many Online Video Converters on Google that can change video formats. Some of them can help you transcode TS to MP4 online. When you are using the online TS to MP4 website, you have to make sure the internet connection. What's more, online conversion is only suggested for small TS files. Now, you can follow the steps below to transcode TS to MP4 files. Step 2: Select your TS files from Computer, Google Drive, Dropbox, URL or by dragging it on the page. Step 3: Choose MP4 you need as a result. 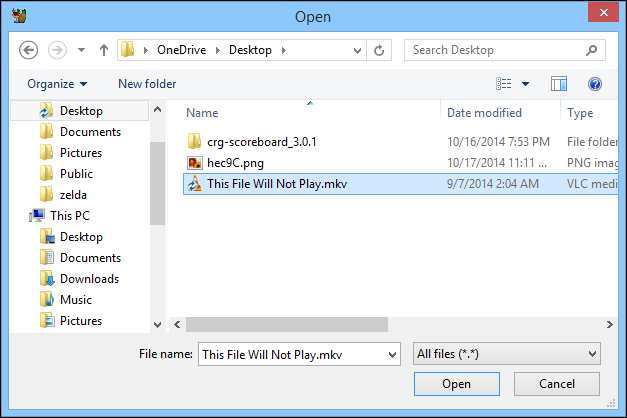 Step 4: Let the file convert and you can download your MP4 file right afterwards. You see, it is very easy to change TS to MP4 video with this online video converter. Sometimes you get videos in TS format via JVC camcoder or just download the TS source from the Internet, no matter where you get the TS, all of them cannot be shared on Facebook, Youtube or other social network, or be played with your samrtphone, tablets. In this case, you can try to convert TS to MP4, the most widely used video format. You also can preview, edit TS before conversion. You can try the best TS to MP4 video converter - Pavtube Video Converter Ultimate | for Mac, with it, you can convert TS to MP4, AVI, MKV, MOV, etc with zero quality loss. You also can convert TS to iPhone, iPad, Samsung, Youtube, Xbox with presets. This software allows you to convert TS to H.265/H.264 MP4/MKV with 30x speed. Step 1. Add .TS files to the TS to MP4 converter. Click the pen-like icon, you can edit your TS video on the next window. Here are 7 main tabs for you to select: Trim, Crop, Text Watermark, Image/Video Watermark, Effect, Audio Editor, Subtitle. There are many Online Video Converters on Google that can change video formats. Some of them can help you transcode TS to MP4 online. When you are using the online TS to MP4 website, you have to make sure the internet connection. What's more, online conversion is only suggested for small TS files. You see, it is very easy to change MTS to MP4 video with this online video converter.